I didn't know either of those until I looked them up. While the info on Astilbe is 'not very much', it does say flowers of white pink and red, though nothing about the foliage. For Meadowsweet, I found: Filipendula ulmaria - thich, reddish rootstock, small cream flowers with an almond scent followed by hairy seedpods. The root is used for diarrhoea and the flowers for influenza, rheumatism, arthritis, indigestion and heartburn. Whatever it is, it looks really pretty! 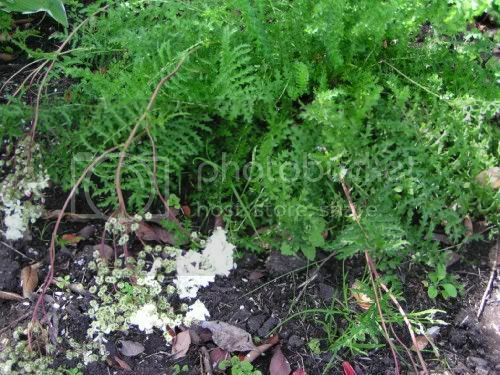 It may be an Aruncus if it has leaves similar to an Astilbe or maybe an achillea. More likely an Aruncus.